As parents, we're all living with some level of sleep deprivation. But while it's one thing for adults whose responsibilities or lifestyle choices may cut into their sleep time, our growing children should be held to a different standard. Good health depends on adequate sleep and it is recommended that preschool-aged children get 11-12 hours of sleep every day, school-aged children sleep at least 10 hours, and teenagers get about 9-10 hours of shut-eye. Is your child getting the right amount? With the busy lifestyles that our kids lead today, this is not always easy to do. We are willing to compromise quality sleep in order to get more done, and the consequences can come back to haunt us and our children. While the effects might not be immediately apparent, they can be cumulative, and in some cases serious. 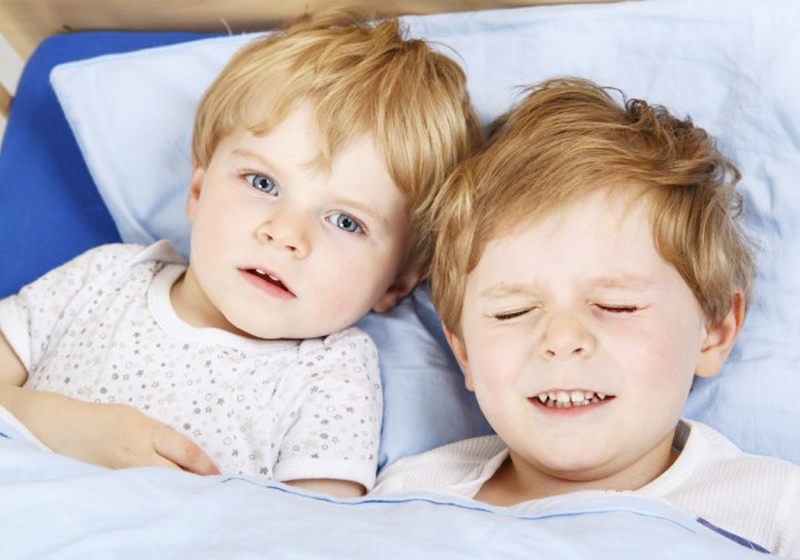 Sleep affects our kids' lives, both now and down the road. Emotional well-being — Lack of sleep can make kids feel sad or depressed, leading to mood swings, depression, risk-taking behavior, and in some cases, an increased risk for suicide. Brain function — Studies have shown proper sleep improves learning and problem-solving skills. Sleep is also important for focus and creativity. Body weight — Sleep deficiency has been linked to an increased risk for obesity because of hormone imbalances that affect appetite, digestion, and the breakdown of sugar. Heart health — Because our bodies repair heart and blood vessels during rest, sleep deprivation has been linked to heart disease, high blood pressure, and stroke. Coordination — The interaction of our various moving body parts requires a sharp mind. Any parent who has driven while tired knows this all too well. Social interaction — Lack of sleep can lead to problems with moodiness, anger and impulse control, all of which affect interacting with our peers. Athletic performance — Kids need to be well-rested and mentality sharp to do well in sports, all of which depend on a good night's sleep. Decision-making — Decisions are made in an instant, calling for higher mental functioning, which in turn is dependent on a well-rested brain. Attention span — As every parent knows, kids who are not well-rested have a difficult time focusing and sitting still, making things like learning and socialization difficult. Memory — Our brains process and store information while we sleep while also creating new pathways, all contributing to memory. Immunity — Our immune systems depend on getting enough rest, and sleep deficiency can make it more difficult for our body to fight off common infections. Growth and development — During sleep, our body releases growth hormones while also repairing tissue and boosting muscle mass. It may also play a role in puberty. Server responsed at: 04/21/2019 11:05 a.m.